KSB Australia announces that a new refinery in Vietnam has placed an order with KSB Aktiengesellschaft, Frankenthal, Germany for 189 process pumps. The new Nghi Son refinery in Vietnam is situated around 200 kilometres south of Hanoi in the Tinh Gia district. Also Vietnam’s second refinery, the plant is due to enter operation in 2017. KSB’s process pumps will be used in crude oil distillation and aromatic compounds production. The pump casings will be made of steel or stainless steel depending on the fluid being handled, while impellers, shafts and casing wear rings will all be manufactured from corrosion-resistant stainless steel. 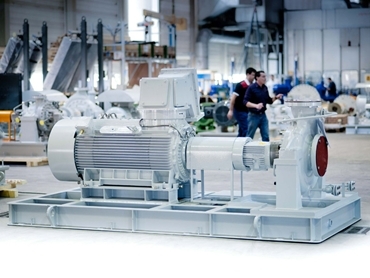 Key features of the KSB process pumps include 800 kW, 6,600V high-voltage motors, largest pump sets in the lot weighing in at almost seven tonnes and delivering flow rates of 1,800m³/hour; and turbine driven operation for some pumps to utilise existing steam energy. Shipping of the pump sets from KSB’s Pegnitz production location in Germany will begin at the start of 2015 and is due to be completed by the end of April 2015.